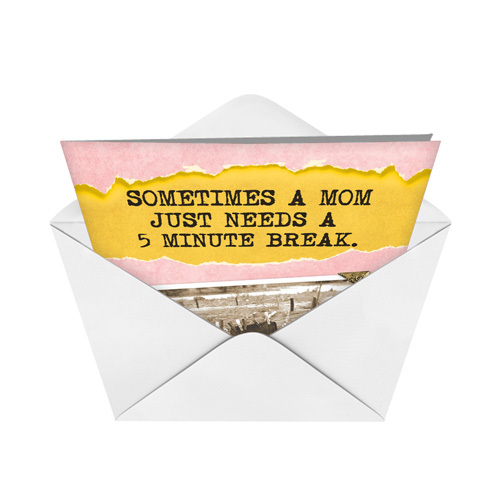 Cover Reads: Sometimes A Mom Just Needs A 5-Minute Break. 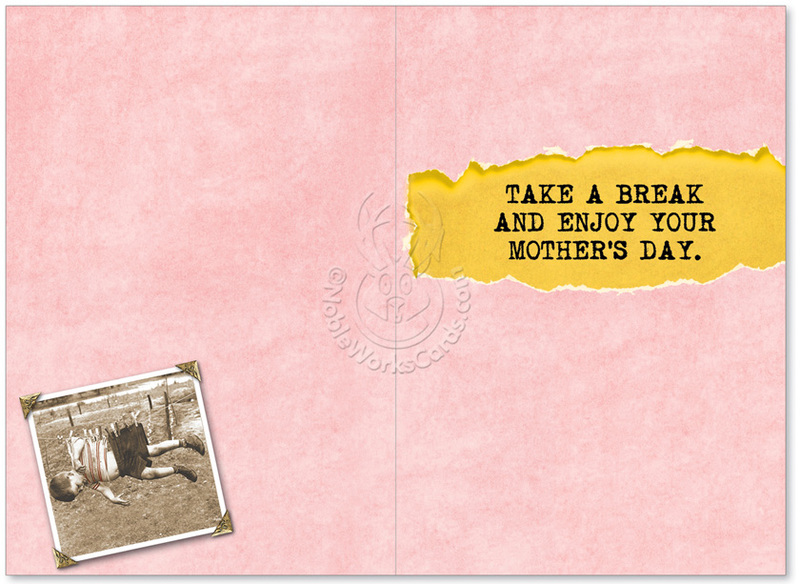 Inside Reads: Take A Break And Enjoy Your Mother's Day. 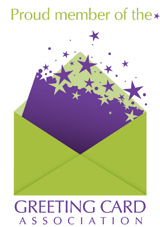 Take our word on this: Avoid forums, social network groups or other digital communities for moms. You thought political comments on Facebook were bad? Hell hath no fury like a mom who saw something insulting on the internet. Someone posts a parenting idea, and the waves of responses are pleasant, at first. Until that one, who's not trying to start something but just needs to put in her two cents. That's when the tsunami of arguments starts. It's not pleasant. We told you that to tell you this: Don't ask questions about whether hanging your child on the clothesline is an acceptable parenting tactic. 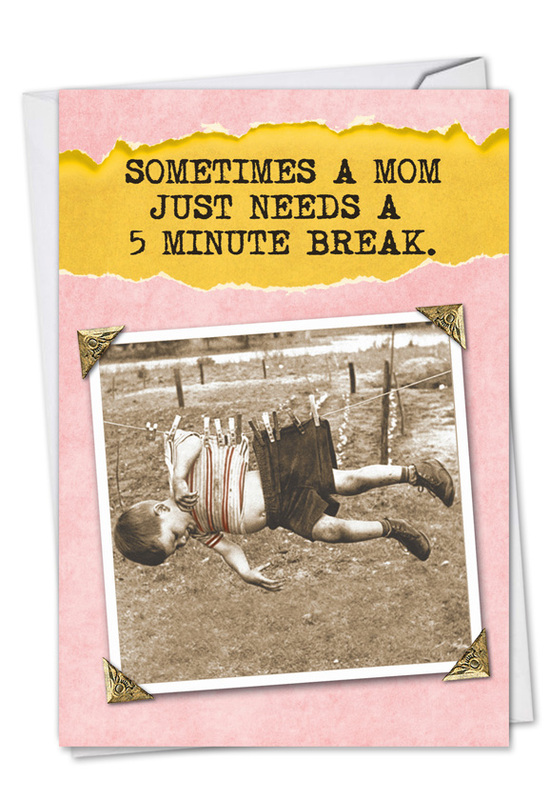 Still, sometimes mom just needs a five minute break, and if hanging little Johnny up on the clothesline is what it takes, then more power to her. All joking aside, remind your mom you love her and encourage her to take a much needed break this Mother's Day. This card is a good start.